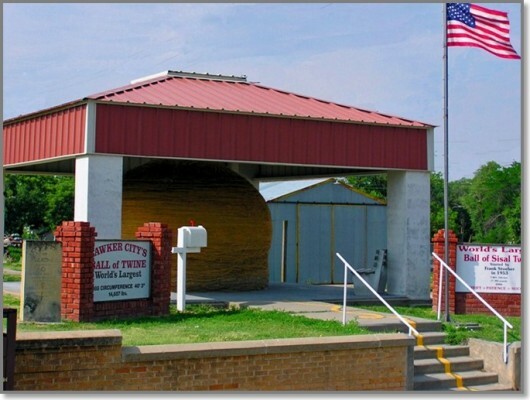 Cawker City’s world famous Ball of Twine was initially created in the hands of local farmer, Frank Stoeber, in 1953. Frank had not been well and decided that rolling his abundance of excess twine, saved from years of feeding his cows bales of hay into a ball, would be good exercise and a way to occupy his time. Thus, began the Ball of Twine. Throughout the remainder of his life, he continued to add to the ball until it became too large to fit inside his barn, after which he moved the still growing ball to town to be viewed in awe, by everyone. 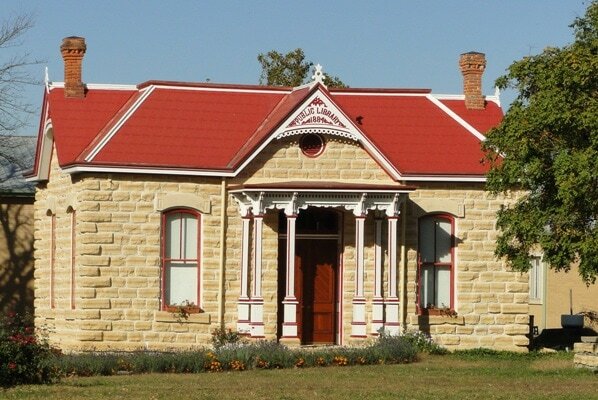 ​In 1973, the "old library" was officially added to the National Register of Historic Places. It has the distinction of being the first building built by a Woman's Club in Kansas as well as for its architecture which embodies our pioneer heritage. Fully remodeled, the museum reopened in 2015. ​Built in 1886 by Pilcher's Sons of Louisville, the organ is located in Cawker City's United Methodist Church. Henry, Kentucky built the organ for the congregational church in Kinsley, Kansas. At the time, it was the only organ in Kansas west of Emporia.